Los Angeles based rapper The Game is pictured here not tweeting to his 580,000 followers. Phone tag is no game to the Los Angeles Police Department. A police investigation has been opened in LA concerning the source of Twitter messages sent from the account of the LA-based rapper The Game. The LA Times reports that Friday around 5 p.m. a message containing the phone number of the sheriff's station there was sent to The Game's 580,000 followers, instructing fans to call the number if they desired an internship with him. The Associated Press reports Sheriff's Lt. Suzan Young said, "the phones started ringing like crazy," preventing officers there from responding to citizens in actual distress. 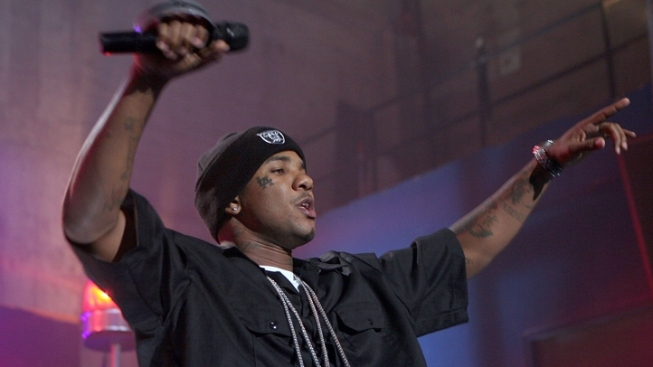 The Game could face criminal charges over the incident. After an initial blog post by the LA Times, he tweeted "it wasn't me (shaggy voice)" to the newspaper, indicating that perhaps his account had been hacked. He followed that pop-culture punditry up with this gem: "Yall can track a tweet down but cant solve murders ! Dat was an accident but maybe now yall can actually do yall job !!!! #iSpeak4ThePeople".